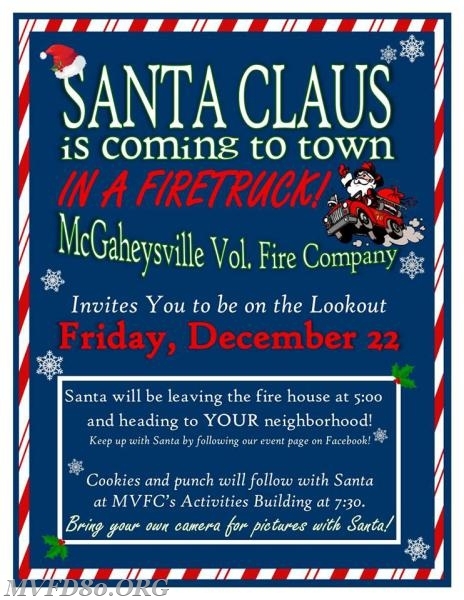 Santa will leave McGaheysville Vol. 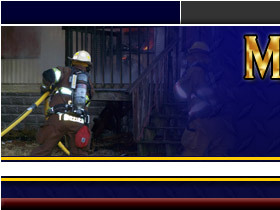 Fire Company at 5:00 PM. Cookies & punch will follow with Santa & Mrs. Claus at the MVFC Activities Building. Bring your own camera for pictures!